← Updated Calendar, New Artists, Kiddo Events, and More! Have you pARTied yet with us?? Well, what are you waiting for?? We have a bunch of new calendared events and FUNdraisers coming your way! What is a painting pARTy? So glad you asked! It’s a 2-3 hour event (depending on the complexity of the painting) where you create your very own 16×20 masterpiece with the help of one of our talented artists! Bring your own beverage, listen to music and make a fantastic memory and try something new! Many of our pARTiers have never painted a day in their life! Don’t be shy, come pARTy with Uptown Painting Party! Stay in touch with us on Facebook at www.facebook.com/uptownpaintingparty! We started a new special, “Senior Discount Tuesdays!” From 10am-noon every Tuesday, we’ll have a special Senior Discount Day where seniors enjoy $5 off the regular ticket price of $35! Bring your girlfriends and grab one FREE beverage at Crazy Alice’s Cafe! Spread the word and see you soon! paint anything you want! Saw a cool painting on our calendar? Love it but can’t make the time? 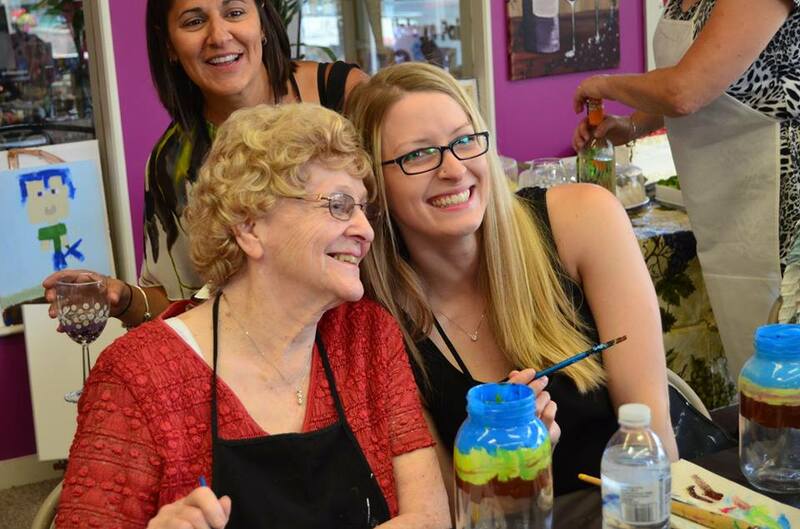 Come paint with us during those times, or schedule a private event with us today! you would like in our gallery! $45 Mom & Kiddo Rate: Come paint with your kiddo! Create a wonderful memory together! $115 Family of 4 Special: Come paint as a family and create something great! Are you looking for something new to do?? Are you great at painting and coming up with new ideas? Are you great with people?? We’d love to talk to you! Book With Us and Get a FREE pARTy! We’re extending our promotion! Book with us a pARTy of 10 people or a FUNdraiser of 15 people, and you receive a FREE gift certificate to come back and pARTy whenever, wherever! Contact us TODAY for more information! Have you grabbed a copy of Somerset Magazine? 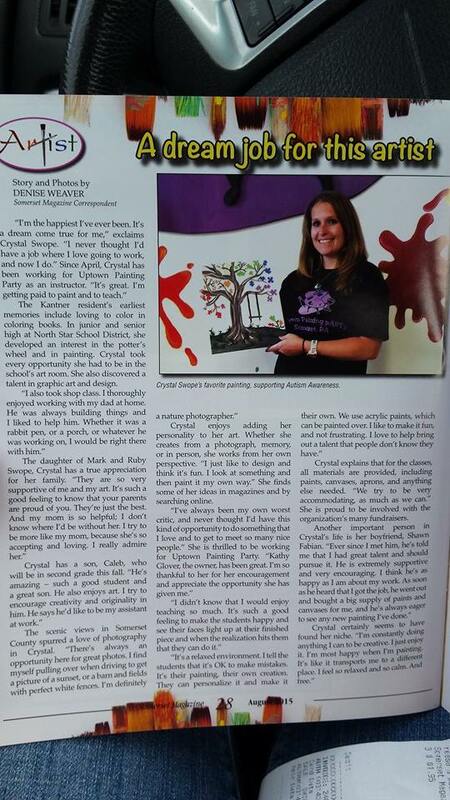 Check out <<<<the article about our own, Crystal Swope! Cheers!